Add photos and videos to start constructing a narrative. Don't worry about adding words, focus on adding media in the right order. 2. Edit, remove, and rearrange. Tap the ... in the bottom right of an image or video to remove it. 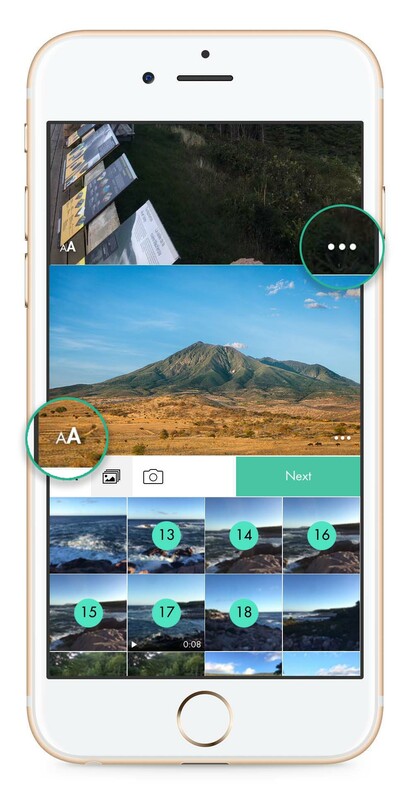 If you forgot to add a photo to an earlier part of a story, scroll up to where you want it, tap where you want to insert it, and then add it from your photo library. Photos and videos are the foundation of a good story, but adding text is what gives the reader context. Tap above or below a photo or video to add text. Paragraphs can have different styles. 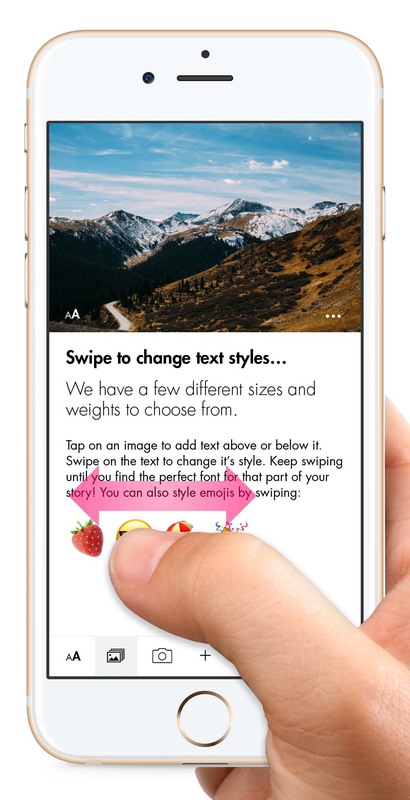 Swipe over sections of text to personalize your story. Search for friends in the app to share stories. If you select 10 people and share your story, they will all recieve it seperately and privately. 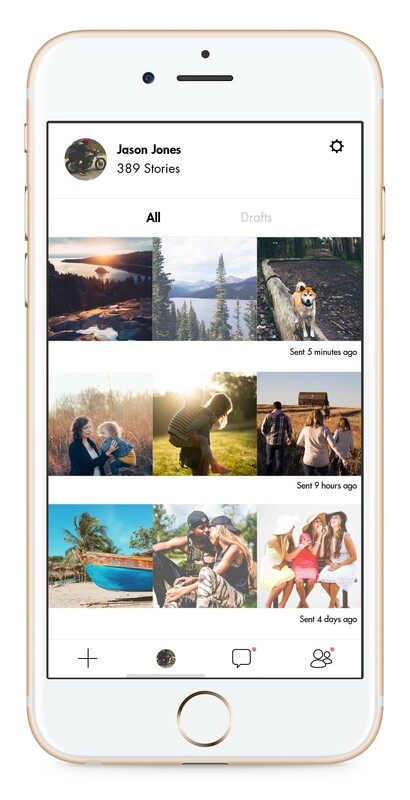 This allows you to share stories and chat privately about them 1-1 with each friend. To create a group, select friends on the share page and tap the group icon on the top of the screen. This will create a group with only the selected people in it and allow everyone in the group to chat together. When you share a story, a private chat is created. Only you and the person you shared it with can see this conversation. 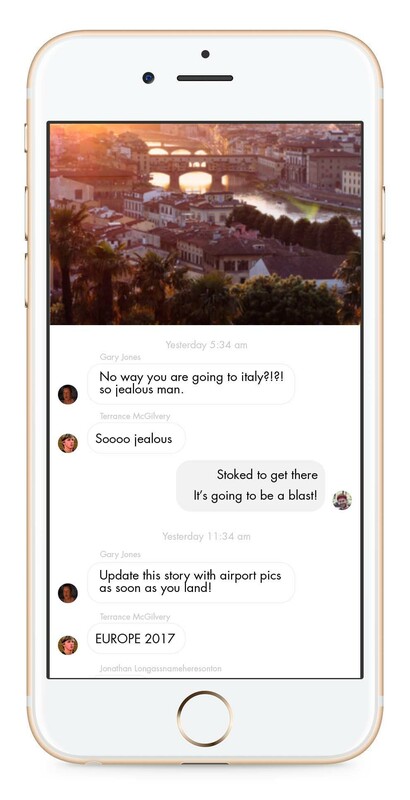 When you share to a group, a private group chat is created under the story. Only the members of the group can see this conversation. 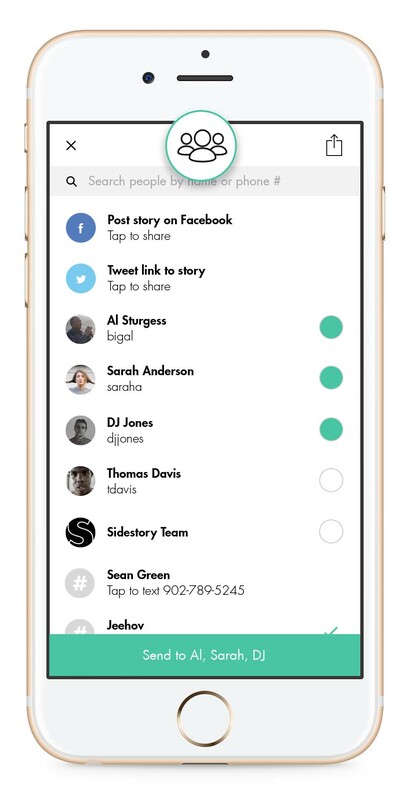 Add your phone contacts to easily text a friend your story. Post stories to Facebook or Twitter, or input an email address to send a link via email. 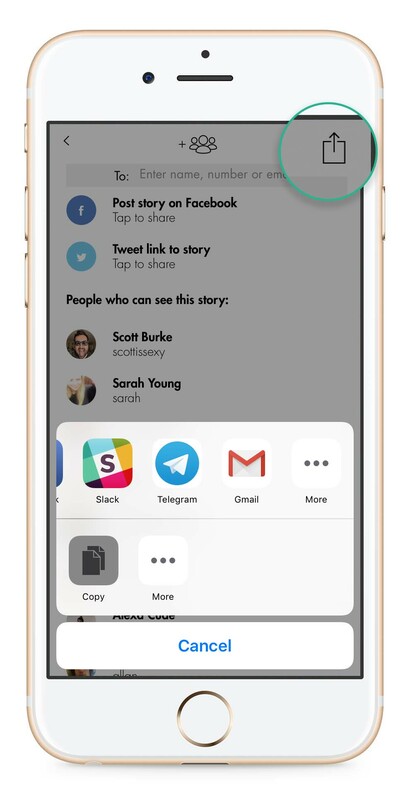 You can also share a link to your story by tapping the share icon in the top right of the share page. One of the best aspects of Sidestory is the flexibility of the platform and the control you have over your audience. This means you can share intimate stories with your close friends, and post more casual content openly to Facebook or Twitter.